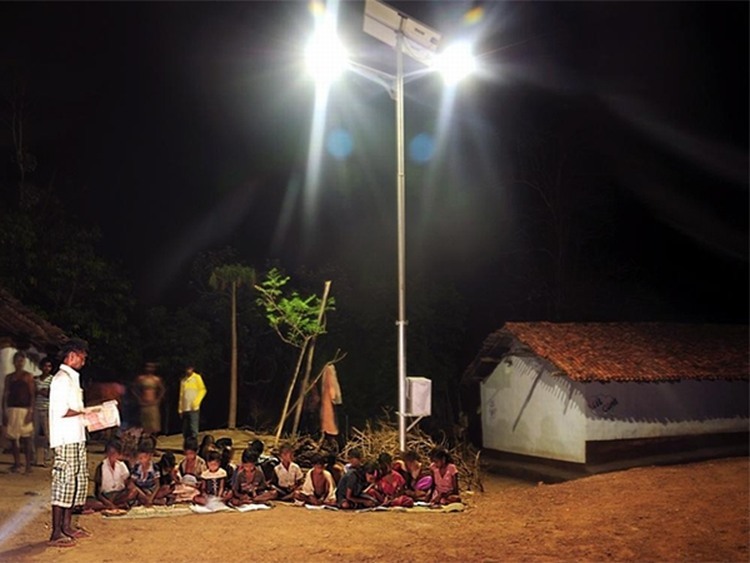 Baripatha, a tribal village in southwest of Bhubaneswar, is the first 100 percent solar-powered village in Odisha. The project was inaugurated on Firday by Nalco CMD Tapan Kumar Chand. 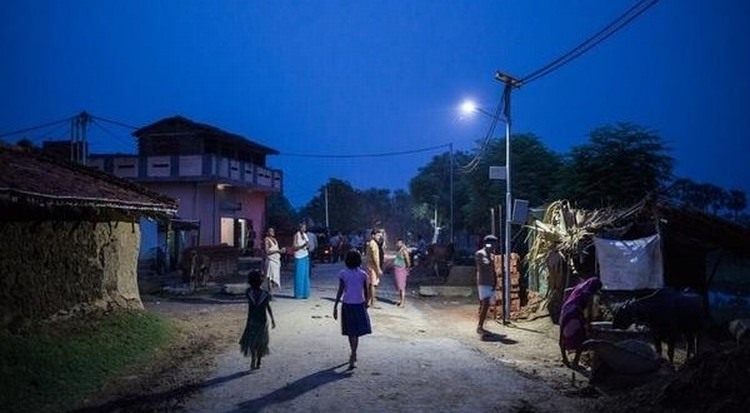 It’s for first time that this village has experienced a life with electricity after a long wait. Baripatha is a tribal helmet with 350 dwellers living in 61 households. Under the Rs. 7 lakh project each household is provided individual solar unit with two multipurpose lamps and arrangement to recharge mobile devices. Eight street lights will be powered by a central one-kilowatt unit. The community centre has been provided with a solar-powered LED television set and a TV set-top box. The village school has also received perennial solar lighting. The project is low-maintenance and requires only regular cleaning of modules and monitoring of battery water levels. The central solar unit features eight large photovoltaic panels that can be folded within no time to prevent damage in case of cyclones and high-speed winds that are common occurrence in Odisha. The responsibility of maintenance is given to village mukhia (chief) along with a villager with an ITI diploma. The project was co-funded by ECCO Electronics, a manufacturer of solar products, and Jakson Group, a power solution provider. The two lamps cost Rs 2,650 and Rs. 1,750 respectively, and are available in easy installments through micro-finance. NLCO and some other manufactures are also showing interest in subsidizing the lamps. The project is unique in its approach as it has attended to the errors related to distribution and supply of energy to actual consumers. In most of other such projects in India, village is connected to a central unit that has higher chances of exposing cables to tappers, while some others would draw higher share than they deserve. The result is mostly overload on central unit and eventual trip. However, in Baripatha, the issue has been aptly attended by providing individual unit to each household. 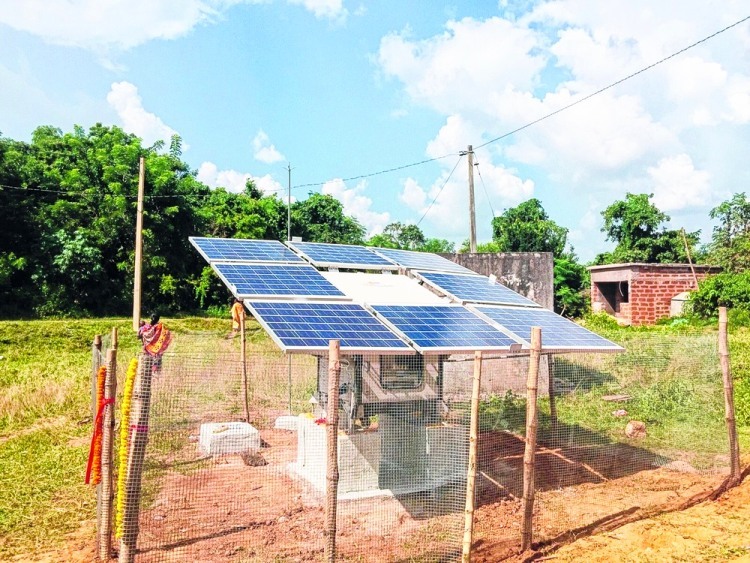 The prime mover behind this initiative, IPS officer Joydeep Nayak, suggests that this solar-village model can provide power to nearly 3,900 villages if replicated all over Odisha.